When you work in your kitchen, you will use your fridge, sink, and stovetop constantly, so they comprise the traditional “work triangle”. However, in today’s kitchens, you will also hear reference to “work zones”, where you do parts of the work for each meal you make. Today I’ll focus on the Cooking Zone! The main part of the cooking zone is your stovetop. Do you have a combo stove/oven (a range)? Or do you have a separate cooktop and wall oven(s)? The trend in the 60s and 70s was to do the separate cooktop and oven, but then as appliances got cheaper in the 80s and beyond it was common to have the combined range. If you are going for a higher end look, then it is considered better to have a separate cooktop and wall oven, unless you spring for a huge Viking or Wolf range. And did you know that when your house is appraised, some of the things they look for when deciding if your kitchen is “gourmet” or “standard” is the existence of the following? What ingredients do you seem to cross the kitchen to get all the time? Could you use a tray to carry things across more efficiently? 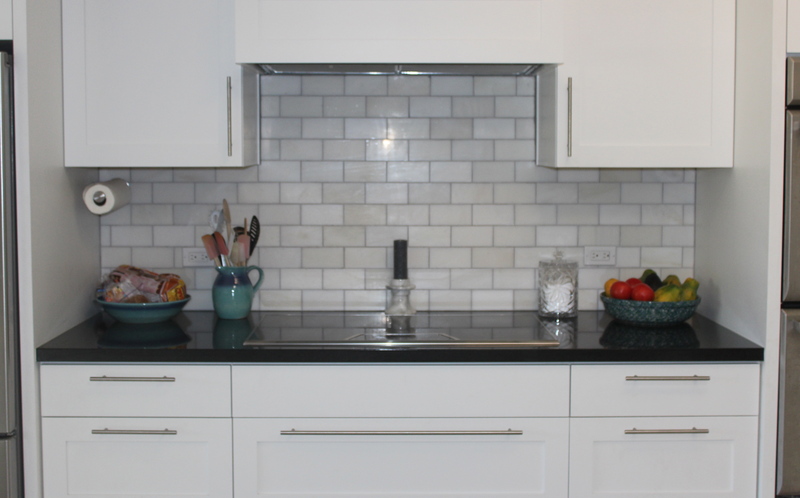 Could you store things near your stovetop that you actually use WITH your stove, and move other things away? I recently cleaned out my spice drawer. 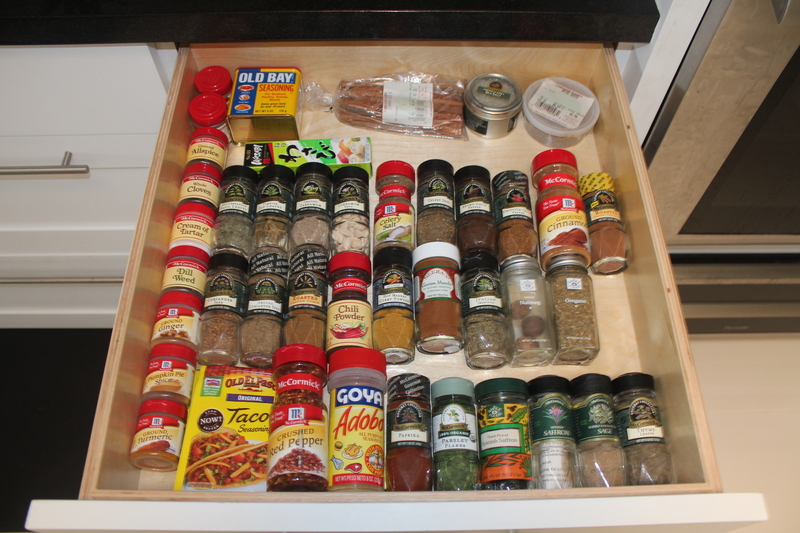 I have tried all of the above ways to store my spices, and since this time I have little wall space but more drawer space, I decided to go with a spice drawer. I thought I might need one of those cute angled devices inside my drawer, but you know what? I don’t. I also decided to go through my utensils again. Some of them I keep in a cute pitcher on top of my counter by my stove. But the rest I have divided in to my “cooking” utensils by the stove, and my “prep” utensils by the sink. I just lined my drawer with shelf liners and the utensils don’t slide around in the drawer. 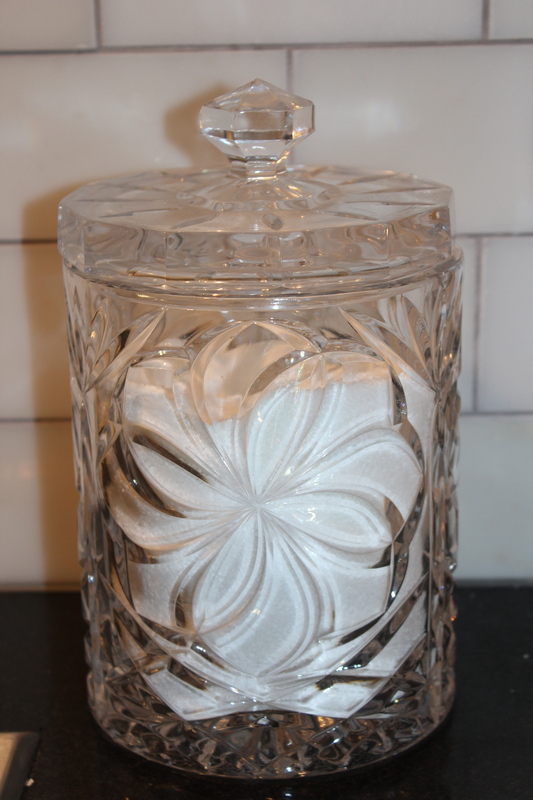 I use a big crystal cookie jar for my salt. It’s way easier than a little shaker and it looks so pretty! What could you do to spice up your cooking zone?